Joseph Made, minister for agriculture, mechanisation and irrigation development, said that discussions were underway between his ministry and the Ministry of Finance and Economic Development on duty on imported fertiliser. 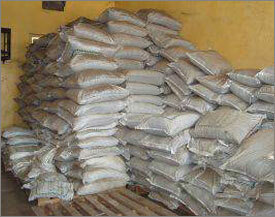 A 25 per cent import duty on fertilisers had recently been announced. Made said that talks to reverse that announcement were underway, as the duty would cause a shortage of fertilisers or a steep price rice that would put fertilisers beyond the reach of many farmers. Commenting on the ongoing talks, he said, "There are indications that the duty will not be put on fertiliser because we have to provide farmers with adequate inputs." This development comes on the heels of the fertiliser industry announcing a 20 per cent decrease in the price of all fertilisers. The move is expected to boost the country's agricultural output. Zimbabwe's fertiliser production capacity is expected to increase to 80 per cent this season, compared to 30 per cent last season, according to industry spokesman, Misheck Kachere. He said that the country would still need to import 120,000 tonnes of ammonium nitrate to make up for this season's shortfall. Made said that the government was also speeding up the More Food for Africa programme to install irrigation equipment across the country. He said that engineers from the Department of Irrigation were on the ground to assist farmers. For farmers already have access to irrigation, "tariffs of electricity must go down consistent with the interest rates," he added. He applauded Cde Chinamasa on his efforts to support the agricultural industry. Patrick Chinamasa, Zimbabwe's minister for finance and economic development, has recently said that the government was "prioritising rehabilitation and expansion of irrigation schemes, focusing on idle water in dams across the country."